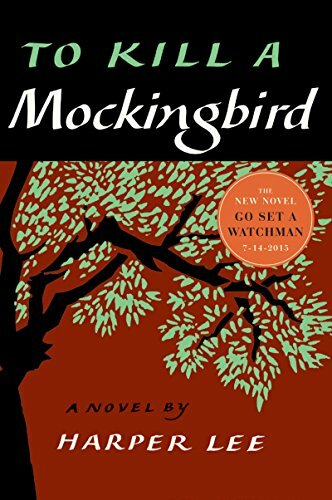 Harper Lee's Pulitzer prize-winning masterwork of honor and injustice in the deep south—and the heroism of one man in the face of blind and violent hatred, available now for the first time as an e-book. luminous (Grade: A) I did not expect to like this. Turned out I loved it. The writing was so crisp, wry, and spot-on. It was delightful and fun to read. Was like slipping on a persona and traveling in time and place. I would read this again. ebwhite (Grade: A+) This novel is truly one of the best works of American literature. Lee's characters are so well-developed, and it is impossible not to be profoundly affected by the social consciousness of the book. I appreciate the book even more after reading Go Set A Watchmen because of the additional context it provides. chaliepud (Grade: A) Loved this!!!! I really wasn't sure I would but I loved the characters and the issues the story dealt with. socreepydad (Grade: A) It's a great coming-of-age story. Shodi (Grade: B–) It's a classic. Everyone should read it at least once.